– Yield sugar/ alcohol: 16.3 g/L for 1% alc./vol. 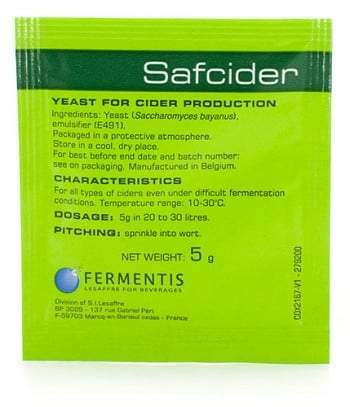 – Rehydrate the desired quantity of yeasts in 10 times its weight of water at 35-38°C. – Stir avoiding the formation of lumps and leave to rest for 15 minutes. – Progressively add must from the tank (2 or 3 additions) so that the temperature difference between the yeast starter and the initial must does not exceed 10°C. This stage allows the yeast to become acclimatized and avoids a thermal shock. Example: If must that needs to be pitched is 14°C, the yeast starter temperature should not be more than 24°C prior to inoculation. – Stir and leave to rest for ~8-10 minutes after each must additions. – Incorporate the yeast starter in the fermentation tank during a pumping over with aeration. The rehydration procedure should not exceed 45 minutes.